Studies have shown that eating tomatoes and broccoli lowers the risk of prostate and breast cancer. The carotenoid, lycopene, the red substance in tomatoes, also appears to have potential benefit in treating oral, oesophageal, lung, stomach, colorectal, pancreatic, bladder, cervical and some other forms of cancer. There is also evidence that lycopene by itself is not as effective as whole tomatoes because of synergistic reactions with other tomato substances. Cooked and concentrated forms of tomato are the best sources of lycopene. So it seems like it’s a good idea to make your diet rich in broccoli as well as sun-dried organic tomatoes in oil, dried tomato powder, or other organic tomato concentrates, especially tomato paste and tomato sauce. Scientists have discovered that cruciferous vegetables - such as broccoli, cauliflower, Brussels sprouts, kale and turnips - are brimming with a natural chemical that can significantly lower your risk of cancer. The name of this extraordinary chemical is Indole-3-Carbinol, or I3C. Lycopene is an antioxidant and the pigment that provides the red color of tomatoes. Because of recent epidemiological studies suggestive of lycopene''s role against prostate cancer, the compound has made its way into dietary supplements. These new findings, based on a comprehensive prostate-cancer survival study done on rats, indicate that a combination of the bioactive compounds may offer the best anti-cancer effect. A study suggests that lycopene is one factor involved in reducing the risk of prostate cancer," said John Erdman Jr., a professor of food science and human nutrition and of internal medicine at Illinois. "This also suggests that taking lycopene as a dietary supplement is not as effective as eating whole tomatoes. The study, which lasted 14 months, appears in the Nov. 5 Journal of the National Cancer Institute. Researchers now suggest that the lycopene found in human prostate tissue and the blood of animals and humans who remain disease free may reflect heightened exposure not just to lycopene but also to other compounds that may be working in synergy with it. In the new study, researchers in Erdman''s laboratory at Illinois randomly assigned 194 male rats treated with a carcinogen to induce prostate cancer to diets containing whole tomato powder, pure lycopene or a control. Four weeks later, the rats were divided into two groups, with one having unlimited access to food and the second consuming 80 percent of the first''s average daily intake. At the conclusion of the feeding portion of the study, histological studies on all of the rats'' tissues and blood were done at Ohio State under the direction of Dr. Steven K. Clinton. Clinton earned a doctorate in nutritional sciences from Illinois and a medical degree from the University of Illinois College of Medicine. Researchers found that the rats that had consumed the tomato powder had a 26 percent lower risk of prostate cancer death than control rats, after controlling for diet restriction. Other unpublished data in cell culture studies support the idea that lycopene''s role is enhanced in the presence of other phytochemicals in tomatoes, Erdman said. His lab also is collaborating in studies finding that higher blood levels of lycopene in human serum correlates to lower risks of prostate cancer, especially in men over age 65. That work is part of an on-going, long-term study of more than 51,500 male health professionals by the Harvard University School of Public Health. Erdman, who was elected to the Institute of Medicine of the National Academies in October, Clinton and colleagues say that more work is needed to understand the role of the various phytochemicals in tomatoes and to determine whether there are additive or synergistic effects among the compounds. "Our findings strongly suggest that risks of poor dietary habits cannot be reversed simply by taking a pill," Clinton, a professor of hematology and oncology and of human nutrition, said in an Ohio State news release. "We shouldn''t expect easy solutions to complex problems. We must focus more on choosing a variety of healthy foods, exercising and watching our weight." Animal-based studies, such as this one involving rats, Erdman said, expand on the epidemiologic findings regarding reduced cancer risks and could pave the way for human clinical trials using tomato products or extracts to protect against the development of prostate cancer. Other co-authors of the study were Thomas W.M. Boileau, who earned a doctorate in nutritional sciences at Illinois and now is a researcher for the Iams Co. in Lewisburg, Ohio, and research scientist Zhiming Liao, statistician Sunny Kim and Stanley Lemeshow, a professor of public health and director of the Biostatistics Program, all of Ohio State. Complement a Tomato and Broccoli Diet with a The Professional Rife Machine, Version 2 Machine. RIFE DIGITAL PRO V2: 2018 The RIFE DIGITAL Pro V2 has 25 Groups The machine comes with a Frequency List, View product. 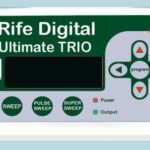 Rife Digital Ultimate Trio Rife Digital Ultimate Trio provides this Powerful Rife in a User-Friendly package. Multiple frequency programs can View product. Super Mat Pack Comes with 1 x Healing Mat 1 x Healing Belt 2 x Instruction Book 1 x USB View product. RIFE DIGITAL PRO V2: 2018 SERIES WITH BELT This Cart Selection Comprises the Full Rife Digital PRO V2 machine, Bag, View product. This Cart Selection Comprises the Full Rife Digital PRO V2 machine, Bag, Cables, Adapter, Books Plus the Rife Healing Mat View product. Rife Digital Trio SERIES WITH BELT This Cart Selection Comprises the Full Rife Digital Trio SERIES, Bag, Cables, Adapter, Books View product. Rife Digital Trio SERIES WITH MAT This Cart Selection Comprises the Full Rife Digital Trio SERIES, Bag, Cables, Adapter, Books View product. Hi Dr Peter, This is George from Greece. I have had the machine for about 3 weeks now. A lot of changes - for the good. My mother has taken herself off morphine, given up the wheel chair and most of the coughing. Not out of the woods yet but in a lot better place than she was 6 weeks ago. I have mentioned the machine to several people and I have been pleasantly surprised by a positive response. Especially from a few people who have seen mother through this process and know others with major challenges. I would like to start trying to sell the units at some point soon so will be needing your input on that. Have more questions but get to them later. Look forward to hearing from you. Regarding The Rife Professional V2 Treatment: My present thought is that I must have been doing something right to stabilize the PSA. As I have reduced the Rife Machine treatment frequency after 3 months treatment [specialist definitively doesn't want to know about it ]I would like to have your valued advice as to when I should continue with the rife machine and what programs would best suit my condition?. I would be looking to have a further PSA reading in about 3 months time. I hope the above will meet with your request for a progress report Dr Peter and I look forward to hearing from you in the near future. Re: Rife Digital Professional. To: Dr Pete Williams Hi there, I just wanted to give a testimonial on the rife digital machine. I had come back from holidays a few days ago. Upon returning, I noticed a sore throat, with very noticeably swollen tonsils. Using just one session of this (in fact, using a different set of frequency not the one in the book Gram Positive Bacteria), I was able to cure this immediately, no painful swallowing, tonsils shrunken back to normal size within a few hours. I am very impressed with the machine itself! Am glad I bought this! I've been using the Rife Digital Professional V2, I bought through you for 7 1/2 weeks now. I am using it on my dog Carlos who has a Malignant Tumor the size of a golf ball growing on the outside of his nose. The first few weeks we saw no effect, then after about a month we noticed the tumor reduced about 50% in size. The ball shaped tumor was curving in to become concave. This was a great sign of progress. Carlos is often exhausted from the Cancer or the Rife healing treatment. His lymph node under his neck are hard and swollen. About a few weeks ago we gave him a few days off the machine to let his body recover. His body did recharge and the lymph nodes did get smaller. I will buy the Mat now for the Bed Lining, and hook this up for the overnight treatments. I became a believer in Dr Rife's discovery not so much after reading "The Cancer Cure that Worked", but after I was in a Rife Digital Professional healing session by a retired nurse. This Nurse had refused going for congenital treatment because Chemo and radiation was her specialty and she saw mostly pain and misery and little improvement with conventional medicine. After so many Rife Digital treatments and mixing it up with Re-connective Healing sessions, I saw her about 3 months later at a club meeting. I asked how she was doing and she said fine. I said, how are you "really" doing? She knew what I was asking and said (with a bright smile), she went for a check up and the docs are confused because they can''t find any cancer (even after subsequent tests). I said did you tell them what you have been doing? She said, "no, they wouldn't understand". Thanks again for the great customer support, Be Well, Steve E.
Learning about the Rife technology, I know that it is not really the result of a miracle – it is simply the application of a scientifically sound technology which was discovered, developed, and proven by Dr. Rife. What is shocking is that this technology has been so effectively suppressed by the conventional medical establishment, and even when the appearance of a new disease like Morgellons appears which can be effectively treated by the technology, they not only continue to reject the technology, but they also refuse to acknowledge the existence of Morgellons itself as a physical reality. I hope that Dr. Rife is able to witness the miracle of his discovery in the healing of my daughter from his place of honor in the world above. I am extremely grateful for your assistance, and that Rife Digital has made the effort to sustain the Rife technology in order to make these machines available. Many thanks for the Rife Digital Machine, bought as the second Machine with Yury Erman''s, who you have advised further regarding treating his Adult Onset Diabetes. The post-sales Support is really appreciated. I have just had a bad re-occurrence of Asthma not experienced since childhood. I was diagnosed 35 years ago as being allergic to dust and feathers. I had been sanding the wings of a sailplane for refurbishment, and have inhaled polyester gel coat particles. After just two full cycle treatments for asthma, I am breathing normally again! I am continuing further with the sessions to make sure the Asthma cause (probably a virus to which I am sensitive) has been killed. 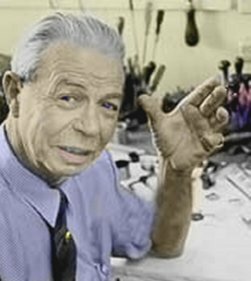 Royal Raymond Rife (May 16, 1888 – August 5, 1971) was an American inventor who created the original Rife Machine. Dr Rife's machine could weaken or destroy the pathogens by energetically exciting destructive resonances in their constituent chemicals. See Journal Link above for the complete Dr Rife History. © 2017 Dr Rife Organization. All Rights Reserved.